The game, which had a soft launch three weeks ago, has already attracted over a half-million players with no marketing. The game is playable as a Facebook App and included in the Action games section of the site’s App Center. Archer said his studio designed “Offensive Combat” for a fast-growing segment of core gamers who want a fine-tuned, shooter game that can be played anywhere, anytime via their Web browser, and not limited by the need for a major software install or dedicated hardware. “Offensive Combat” is a shooter that blends elements from the most popular shooters out there like Microsoft’s “Halo 4″ and Activision’s “Call of Duty: Black Ops II” into a free-to-play experience that’s fully customizable. 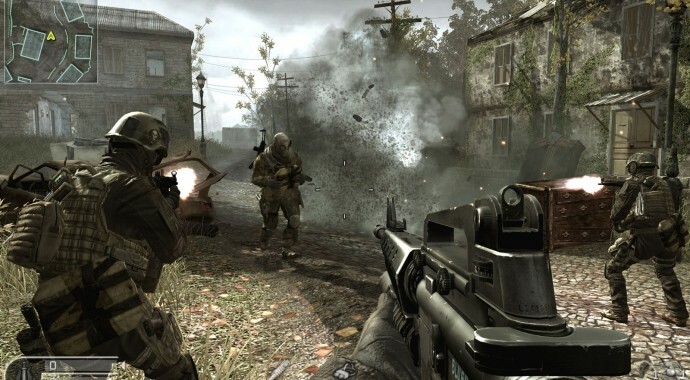 Players can choose from 30 game archetypes like modern soldiers, space marines and robots and engage in a variety of multiplayer modes across nine maps. The online game will expand with new content every two weeks. Players can purchase in-game items, including weapons, to further customize the experience. These micro-transactions will allow players to move through the progressive “grind” of leveling up and unlocking content, but Welch said the battlefield will remain even for all players. More than 251 million of Facebook’s 1 billion-plus members currently play games every month. Even with droves of players leaving Zynga’s games, there remain new audiences that haven’t yet gravitated to the platform. Michael Pachter, a video game analyst at Wedbush Securities, said the free-to-play business model is popular because it reaches the broadest audience, it’s approachable and easy, and there’s no barrier to entry. As much money as Activision and Microsoft have generated from billion-dollar shooters like ‘Call of Duty,’ ‘Halo’ and ‘Gears of War,’ Welch believes there’s a much larger audience willing to jump into the genre without the requirement of a $60 disc. He also believes there’s something to be learned from Zynga’s failure to keep its gamers happy. Facebook has partnered with U4iA Games to develop new social mechanics that are being designed to build engaging gaming communities. These features will eventually debut with “Offensive Combat” before moving on to other Facebook games. In the wake of the Sandy Hook tragedy, violent video games have come under fire in some quarters. Welch believes “Offensive Combat,” which was designed as a mash-up of different constructs, offers a more irreverent and light-hearted approach to the genre than more realistic shooters.